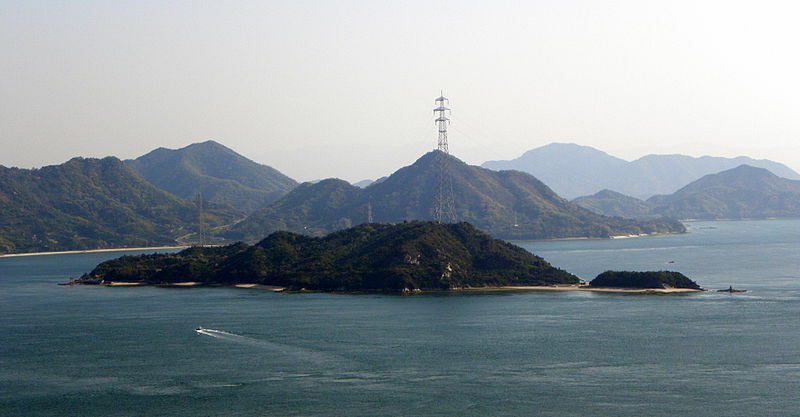 When it comes to dramatic island makeovers, the story of Okunoshima has to be one of the most impressive. Located in Japan’s vast Inland Sea off the coast of Hiroshima Prefecture, the small island was once home to factories that produced the majority of Japan’s chemical weapons during World War II – and was so classified that the island used to be erased from the country’s maps. The old weapons factories still remain on the island, albeit now used as a museum devoted to promoting peace, and these days, Okunoshima generally has a rather more cheerful reputation. Conflicting stories are given as to just how this situation came about, but the island has become renowned for its population of hundreds of rabbits. A small hotel and campsite are found on the island, which has plenty of beautiful nature, but it’s truly the bunnies that take centre stage for tourists. Remarkably tame from decades of human visitation, the rabbits have no qualms about getting petted and eating treats right out of human’s hands, with groups of them excitedly hopping right up to tourists. A culture known for its abiding love affair with all things cute, or “kawaii”, it’s a destination tailor-made for the Japanese. 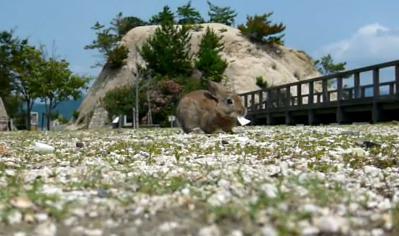 A quick scan of uploading sites like Youtube shows hundreds of videos taken by Okunoshima visitors as they feed and play with the island’s resident bunnies. Some have speculated that the rabbits were former denizens of the chemical weapons factories, as rabbits were often used for testing the lethality of nerve agents, but historians have countered that all of those rabbits were destroyed after the war. Another rumor involves a school in a town on the mainland; in 1971, pet rabbits at the school were said to have been released onto the island after they became too difficult to care for. However the bunnies made it to Okunishima, they seem to enjoy their home and are chiefly responsible for the remarkable transformation of the island’s image. Throughout the world, rabbits carry the positive symbolism of renewal, fertility and growth, representing the dawning of new life in the spring and the boundless potential of coming generations. What could be more appropriate for rehabilitating an island so long associate with death, destruction, and the horrors of war?